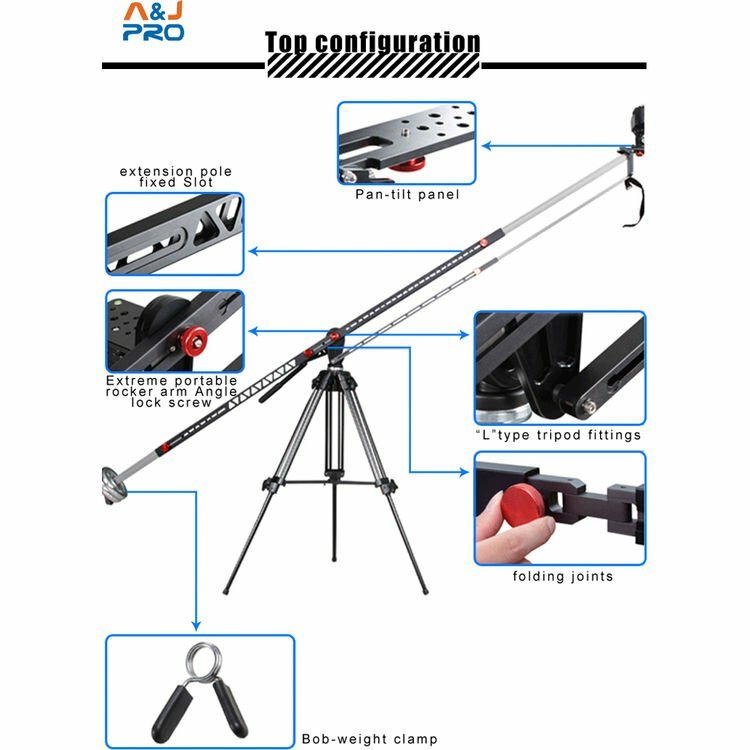 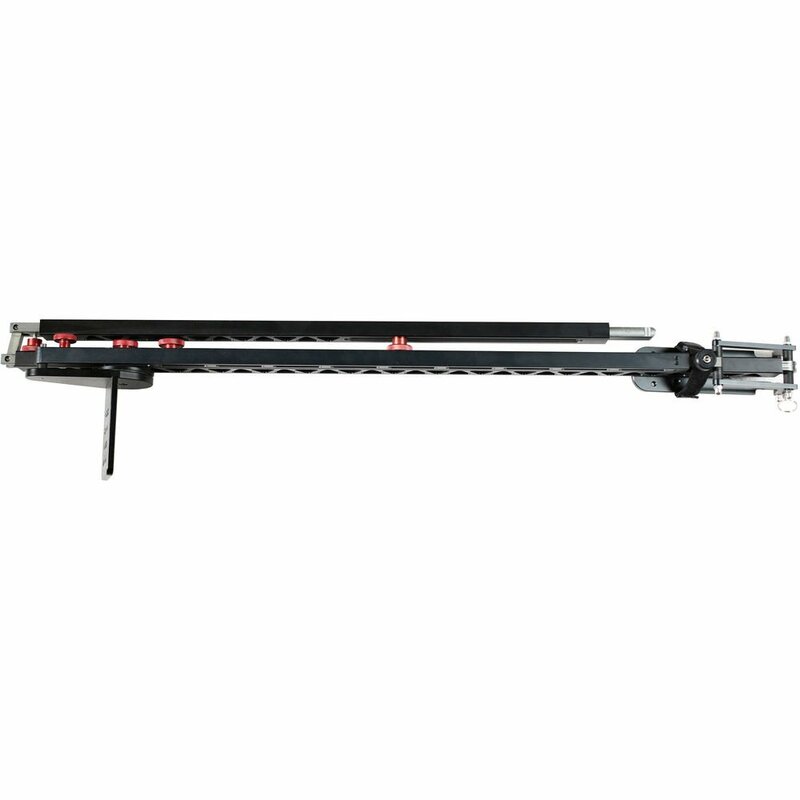 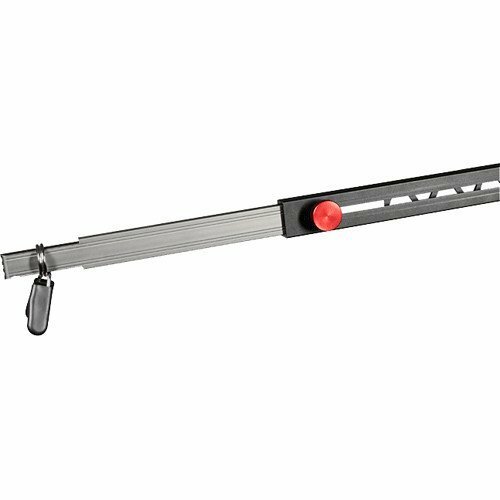 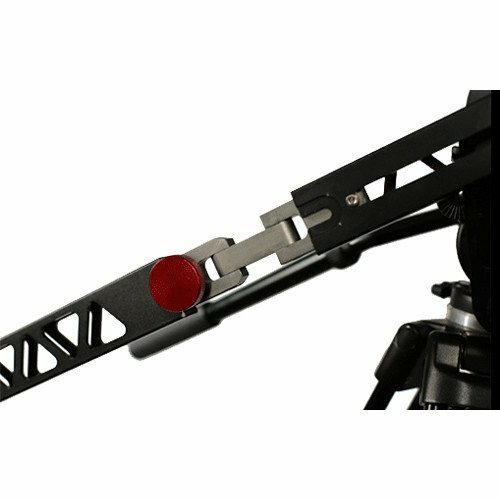 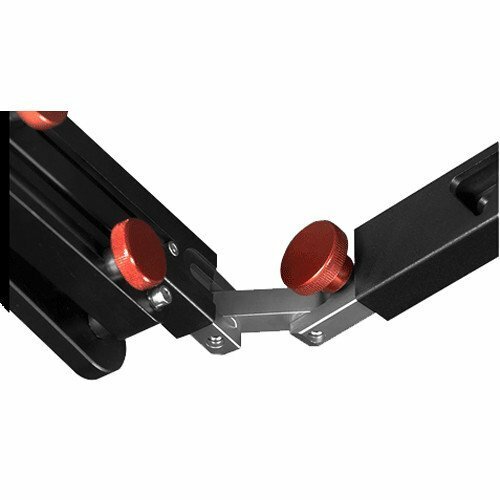 The Foldable Camera Crane Jib from A&J PRO includes a pan/tilt camera platform and precision dampening for quickly locking direction and smooth rotation. 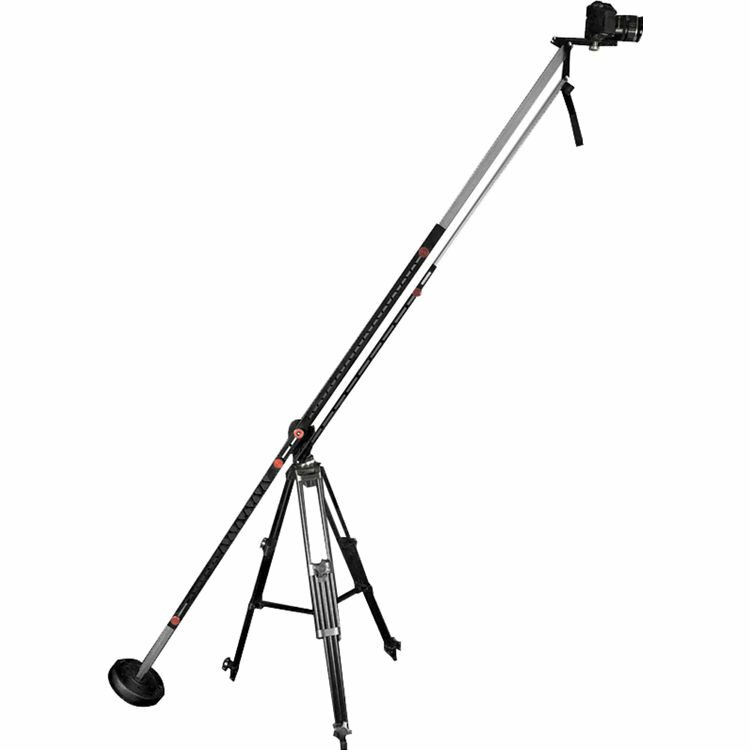 This portable jib can tilt once mounted on a tripod with a tilt head. 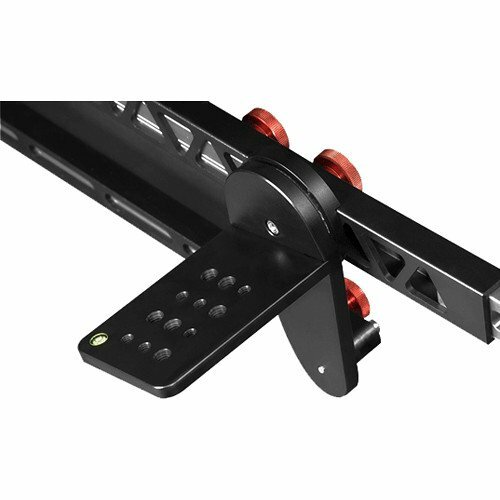 The rocker arm overall structure adopts CNC Machine precision tool processing with surface oxidation treatment. 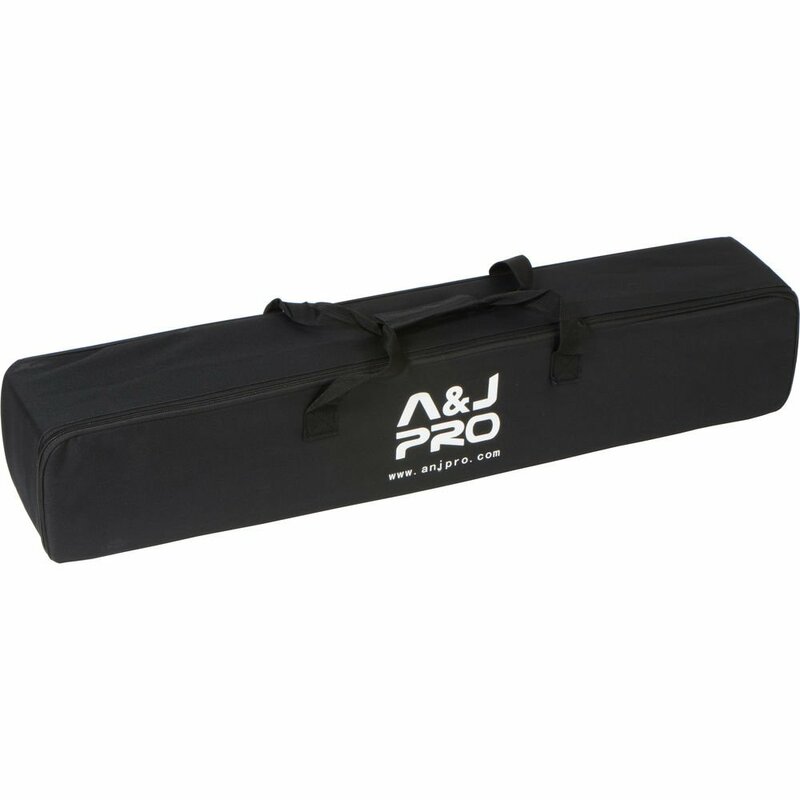 Box Dimensions (LxWxH):	45.0 x 9.0 x 7.5"